Everyone knows that mold should not be permitted to grow and multiply indoors, but they may not understand why. The biggest reason is that airborne mold can cause serious health issues, particularly for those with allergies or compromised immune systems. A second reason is that mold can damage you home or commercial property and destroy furnishings, carpet, wallboard, insulation and wood surfaces. At Courtesy Care Cleaning and Restoration, our certified mold remediation technicians can test your home for mold contamination. If you have mold, we can remove the mold and help you maintain a healthy, mold-free home or business. 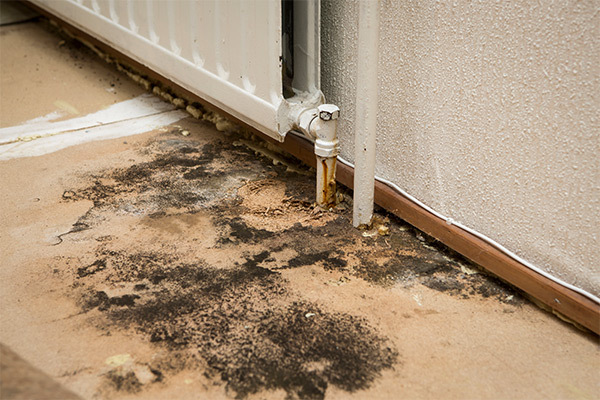 Indoor mold growth often occurs in wet, humid places. Attics and basements are common areas for mold to grow, but it can also be found inside the ceiling, walls, and floorboards of a home or business where moisture is present. In bathrooms, mold is often found under sinks and around toilets where leaks often happen, and can be found above showers and bathtubs and on the walls nearby. Window sills are also common places for new mold growth, especially if condensation is an issue around the windows. While bleach or household cleaners may kill and remove visible mold growth, it often isn’t effective enough to ensure the mold does not return and it doesn’t reach areas of hidden mold growth. Most visible surface mold is just the start of a much bigger, underlying problem that will require professional remediation to successfully eradicate the mold and prevent future mold problems. What Should I Do If I Suspect Mold? 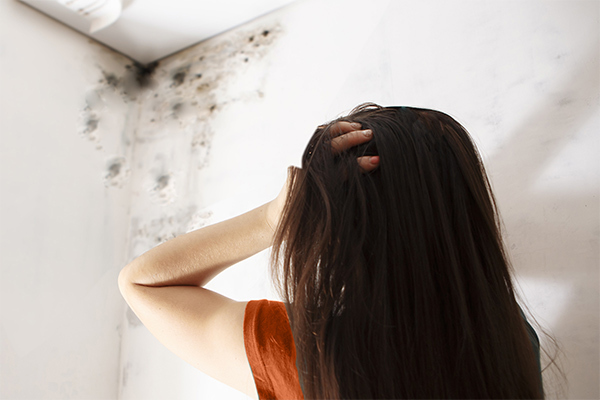 Mold growth is often a sign of an underlying water damage or moisture problem in your property. If you suspect mold growth but can’t see it, contact us to schedule a consultation. Courtesy Care technicians are certified by the Indoor Air Quality Association (IAQA) in Mold Testing and Remediation and we can help you get to the root of the problem and remove the mold for good. Our trained mold remediation technicians can perform testing of your home for mold contamination, giving you valuable information that will help you ensure that your home and family remain healthy and free from the effects of mold contamination. Our technicians will find and stop all water leaks at their source. Referrals to roof and plumbing repair professionals may be part of this process. Our team will also recommend preventative measures that will reduce the moisture in your property to avoid future mold problems. If our Certified Mold Inspector finds mold contamination in your home, we offer mold remediation services that will return your home to a healthy state. Over time, small mold problems expand into bigger ones, so finding the right solution quickly saves you money. The professional technicians at Courtesy Care Cleaning and Restoration will find the source of the mold growth and will provide you with a plan to stop, eradicate and repair the problem quickly. Call Our Team for Experienced Mold Removal Services!